Patience, mental fortitude and an unrelenting desire to surmount the challenges posed by fickle weather conditions defined the racing at the 2017 Giraglia Rolex Cup. A profound respect for tradition, a collective love of sailing and a genuine spirit of sportsmanship the qualities which shone through the event as a whole. 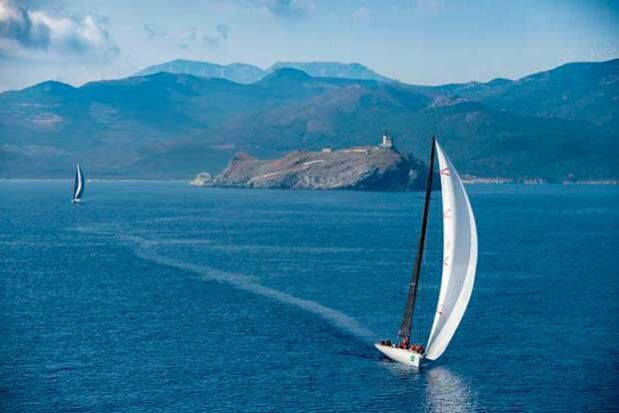 Nearly 250 yachts featured in the week’s sailing; 209 took part in the main event – the 241-nm offshore race from Saint-Tropez, France to Genoa, Italy where two yachts claimed the week’s main honours. Overall victory of the 65th Giraglia Rolex Cup went to Freccia Rossa, a predominantly Russian-crewed TP52 owned by Vadim Yakimenko. Her success followed that of Momo. Dieter Schön’s Maxi 72 from Germany winning the race’s line honours crown as fastest finisher. Their fine exploits were rewarded with Rolex timepieces at the final prizegiving held at the Yacht Club Italiano’s base in Genoa on Saturday morning. In the absence of a 100-ft Maxi on the start line in Saint-Tropez, the quest to win line honours at the 2017 Giraglia Rolex Cup was set up for the three competing Maxi 72s. Each had their own reasons to believe it could be their year. Alex Schärer’s Caol Ila R, as the fastest performer during the popular three-day inshore series in Saint-Tropez, was the form yacht; Sir Peter Ogden’s Jethou, a perennial race competitor, has amassed significant Giraglia mileage; Dieter Schön’s Momo arrived in single-minded fashion having exclusively focused her preparations and set-up specifically for the offshore race. 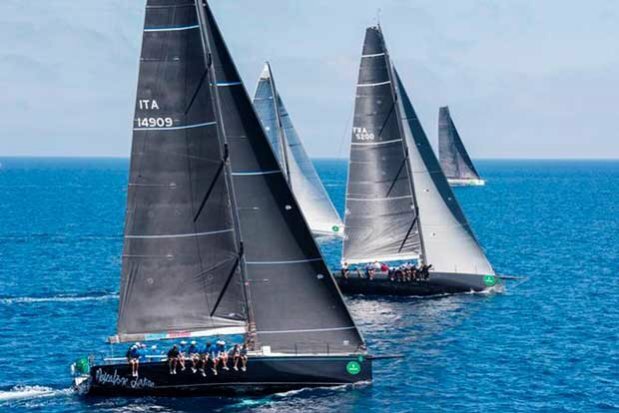 Although a relatively short offshore race, the constant changes in weather patterns ensure the Giraglia Rolex Cup is always a challenging, complex affair. Making gains in the prevailing light conditions and avoiding parking in the various potential wind traps became the focus for the international fleet. This latter peril proved the downfall of Jethou’s ambitions, left motionless on the approach to the Giraglia rock, and dropping out of contention. Claiming the Rolex Challenge Trophy and a Rolex Submariner timepiece as overall race winner, Freccia Rossa, translating as red arrow, becomes the second TP52 in recent years to win the race – Franck Nöel’s Near Miss also won in 2012. Arriving in Genoa in the early hours of Friday morning, as the fifth yacht to complete the race, Freccia Rossa soared to the summit of the corrected time leaderboard. As the lack of breeze on the tricky passage from the Giraglia rock to the finish line continued to thwart the ambitions of those yachts still in contention, Freccia Rossa’s status as race leader became race winner. The light conditions and changing weather patterns which defined the 2017 offshore race were a test on resources. For the body of the fleet, the race was a slow, ‘stop and go’ affair, more hours at sea, constant sail changes and a need for crews to find the marginal, incremental gains to propel themselves forward. Finishing the race became an achievement in itself, a lesson in persistence and dedication. Many crews arrived in the hours shortly before the final prizegiving after over 60 hours at sea. Nearly 250 yachts took part in the three distinct sailing segments of the 2017 Giraglia Rolex Cup, uniting both the latest thinking in yacht design and that which defined a bygone era. Nicknamed the ‘magnificent racing animal’ in her heyday owing to her speed and unique stern design, Jalina, the winner of the first two races in the mid 1950s, took part in both the arrival race from Sanremo to Saint-Tropez, a precursor for the popular inshore racing in Saint-Tropez, and the offshore race itself. On the race’s 65th anniversary her presence in the Vieux Port of Saint-Tropez was a symbolic one and an opportunity for owner Luciano Frattini, who acquired Jalina in 2007 after finding her in a ruinous condition, practically abandoned in Portoferraio on the Isola d’Elba, to recount the touching story behind her recent restoration. “When we found Jalina it was a critical moment for the boat. Experts say if she had been left in the same state for another year she would have been unrecoverable. We spent years restoring the boat to her original 1946 design, using original sketches and old photos, because overtime she changed a lot.” Jalina’s presence in Saint-Tropez provided the opportunity to reflect on the gentle passing of time. “The Giraglia Rolex Cup evolves,” explains Frattini, “there was a moment for Jalina and now for the magnificent boats who win today. However, in the heart of everything people like to turn back and admire. We came here to provide them with this opportunity. Somehow this race is Jalina’s natural environment.” On her return to the race which made her famous, Jalina finished in 63 hours, 15 minutes. The final prizegiving at the Yacht Club Italiano’s (YCI) clubhouse in Genoa provides a relaxed, convivial setting for the crews to exchange stories from the sea and celebrate true achievement. The YCI is one of the most famous and respected clubs in the Mediterranean, an historic institution with a reputation for organizing exceptional competitions like the Giraglia Rolex Cup, an event founded in part by YCI members. Through the stewardship of the YCI, co-organising yacht clubs like the Société Nautique de Saint-Tropez, and the partnership of Rolex since 1998, the Giraglia Rolex Cup has grown in stature becoming not only a seminal fixture in the Franco-Italian yachting calendar but an event of excellent international repute. “The Giraglia Rolex Cup is a communal experience. It’s about being together, a desire to participate and share a unique atmosphere. To have done the event is to be part of the history of sailing,” explains YCI President Nicolò Reggio. Throughout the past 65 years, the organisers have remained committed to upholding the Giraglia Rolex Cup’s founding principles of fair play and camaraderie. As the 2017 edition proves, tradition has been guarded carefully but not at the expense of innovation, passion has been celebrated and excellence rewarded. This approach reflects the principles behind Rolex’s relationship with the sport, and its partnership with leading yacht clubs throughout the world and, indeed, the Giraglia Rolex Cup.